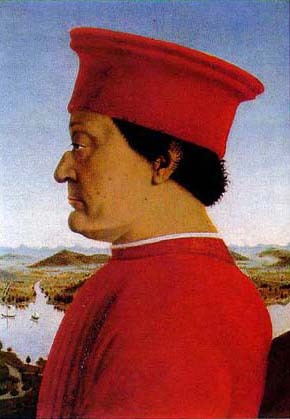 It is a matter of fact: Italy possesses the most remarkable artistic and cultural heritage in the world. And this is not all: its heritage is not just to be found in the great artistic cities, but is diffuse, "spread" throughout national territory as in no other country. The proof? Le Marche. 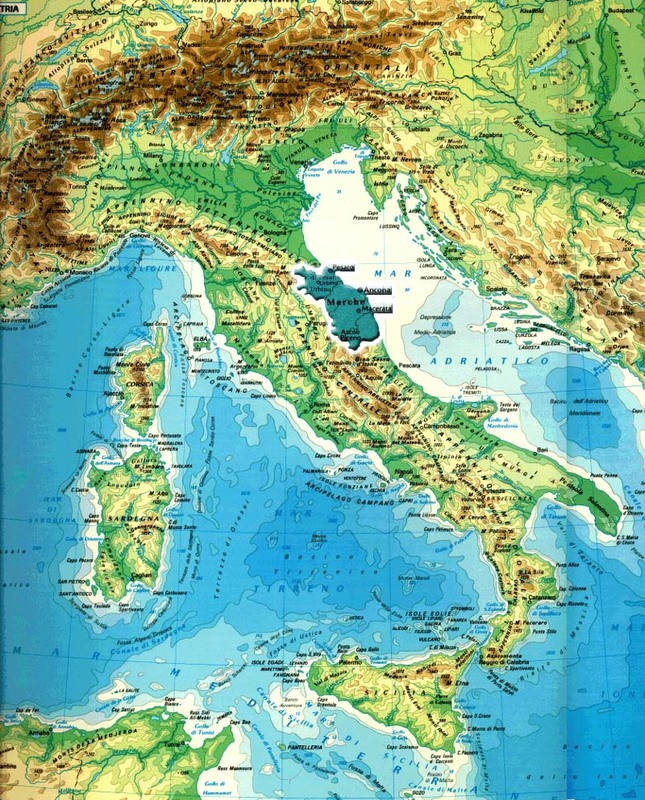 A region in which a rich and varied countryside (the Adriatic sea, with its flat and sandy coast interrupted at intervals by rugged, rocky precipices; the harmonious agricultural landscape of its gentle hills; the deep and mysterious caves; the protected areas of natural beauty) is enriched with towns, villages, palaces, and religious buildings, all of them of important architectural and artistic value. 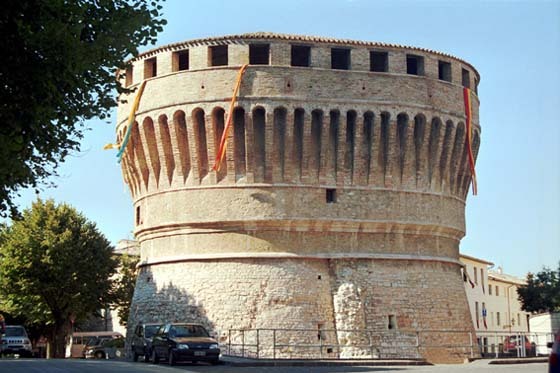 This is the case with the cathedral of Ancona, the regional capital and an important Adriatic port, or the cathedral of Pesaro. 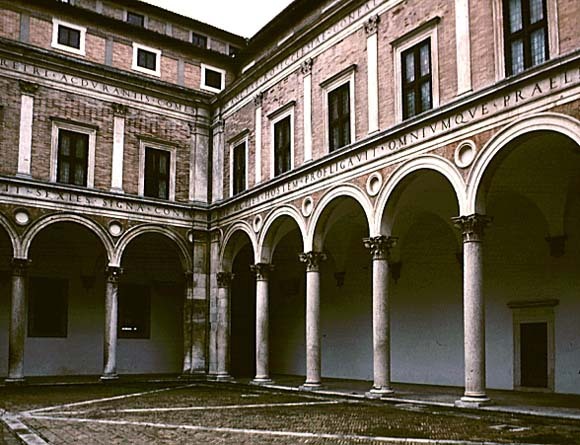 In Urbino, the Ducal Palace is a stupefying testimony of Renaissance grandeur. If you find yourself in Macerata during the summer it is an unpardonable not to book a seat at the majestic Sferisterio theatre for a play or musical performance. At Ascoli Piceno the blend of medieval and renaissance architecture (S. Francesco, Loggia dei Mercanti, Piazza del Popolo, etc.) arrests the attention of even the most distracted visitor. But in almost all the centres of Le Marche, even the smallest, there are many genuine artistic treasures. It is difficult to single out one without doing the others an injustice. We will make an exception for Recanati, the birthplace of the most beloved Italian poet of all time: the tender, bitter, unhappy and sublime Giacomo Leopardi (1798-1837). It is difficult not to feel moved when visiting the building where the poet spent his childhood and adolescence. An emotion which is felt, in a rather different way, by the visitor to the Santa Casa at Loreto, the destination for continuous crowds of pilgrims. 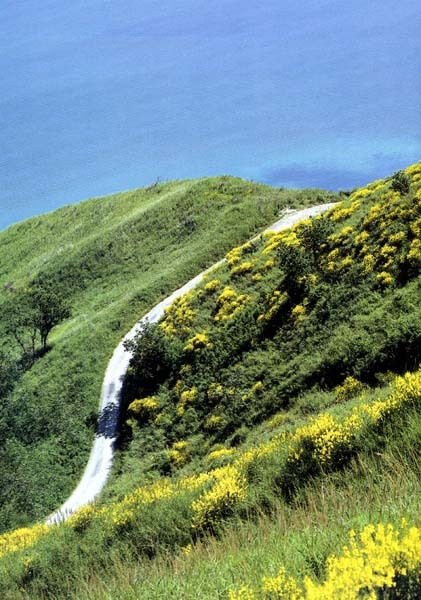 Our lodging suggestion: Relais Villa Giulia, the ideal place to stay in order to discover the charm of the Marche.